Mr. Schultz has held leadership roles in both the clinical care and insurance/payor worlds. His experience ranges from leadership of a large primary care and behavioral health practice to oversight of an integrated health care system focused on bringing the greatest, sustained value to the consumers, providers and employers. Prior to joining Harvard Pilgrim in March of 2010, he served as president and chief executive officer of Fallon Community Health Plan. Mr. Schultz serves as board member (and immediate past chair) of the Massachusetts Association of Health Plans (MAHP), America’s Health Insurance Plans (AHIP) in Washington DC where he was the former chair of the board, Schwartz Center for Compassionate Healthcare, New England Council, Greater Boston Chamber of Commerce and Massachusetts Business Roundtable. Mr. Schultz is a Distinguished Eagle Scout, and serves as the Region President for the Boy Scouts of America, Northeast Region. Mr. Schultz holds an MBA in Health Care Leadership from Yale University’s School of Management and a BS in biology and a BA in economics from the University of Connecticut. In 2009, he received an honorary doctoral degree from the Massachusetts College of Pharmacy and Health Services. Kate McEvoy is the Director of the Division of Health Services at the Department of Social Services, and is responsible for administration of medical, behavioral health, pharmacy, dental and transportation benefits for over 785,000 Medicaid and CHIP beneficiaries. 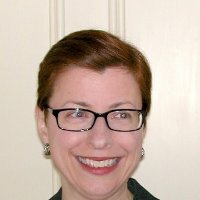 Related, she oversees health policy aspects of Connecticut Medicaid's implementation of the Affordable Care Act, Administrative Services Organization contracts and associated special projects, including the Person-Centered Medical Home initiative, Rewards to Quit (incentive-based tobacco cessation program) and the State Innovation Model Test Grant PCMH+ Program. She is also responsible for oversight of diverse aspects of the Connecticut Strategic Rebalancing Plan, including the Money Follows the Person Program, State Balancing Incentive Payments Program, nursing home diversification and workforce initiatives. In this work, Kate is particularly interested in the intersection of law and medicine with respect to person-centeredness, autonomy in decision-making and dignity of risk. Kate is the Department's lead liaison to the Medical Assistance Program Oversight Council and the State Innovation Model Steering Committee. She is the Vice-President of the Board of Directors of the National Association of Medicaid Directors and a member of the Steering Committee of the Reforming States Group. Kate is a graduate of Oberlin College with a B.A. in Economics and English, received her law degree from the University of Connecticut School of Law, and graduated from the CHCS/NGA Medicaid Leadership Institute.